How much is Chris Pronger Worth? 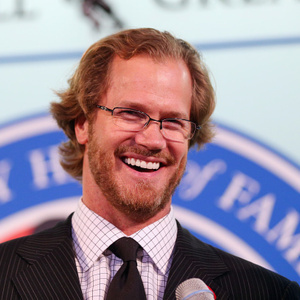 Chris Pronger Net Worth: Chris Pronger is a Canadian professional hockey player who has a net worth of $65 million. Chris Pronger was born in Dryden, Ontario, Canada in October 1974. He played minor hockey and signed with the Stratford Cullitons Jr. B club. He was selected by the Peterborough Petes of the Ontario Hockey League and played there for two years. He was drafted #2 by the Hartford Whalers in the 1993 NHL Entry Draft. He played there for two seasons before being traded to the St. Louis Blues in 1995. He was traded to the Edmonton Oilers and signed a five year $31.25 million deal. He has also played for the Anaheim Ducks and Pronger was traded to the Philadelphia Flyers before the 2009-10 seasons. Pronger was named to the NHL All-Rookie Team in 1994. He was selected as an NHL All-Star in 1999, 2000, 2001, 2002, 2004, and 2008. In 2000 he won the Hart Trophy for MVP, the James Norris Memorial Trophy, and was selected to the NHL First All-Star Team. As a member of Team Canada Pronger won Gold medals at the 2002 and 2010 Winter Olympics. He won a Stanley Cup Championship in 2007 with the Ducks. Pronger is currently under contract with the Flyers but he has not played since November 2011. 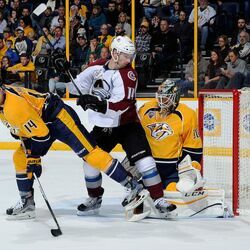 He suffered post-concussion syndrome after taking three separate hits which included being hit in the eye by a hockey stick which left him with vision impairment.